Biodegradable, biologically active formula offers a safe, effective way to clear and clean water pipes. Extensively tested, Flow! has been found to be safe and effective for all drains and septic systems. Available in tablets and liquid concentrate. The slow-release tablets contain all-natural bacteria that breaks down proteins, carbohydrates, cellulose and fats found in organic wastes. Place one table in the back of the commode or in the well of your sump pump. Doses pipes for 28-35 days. 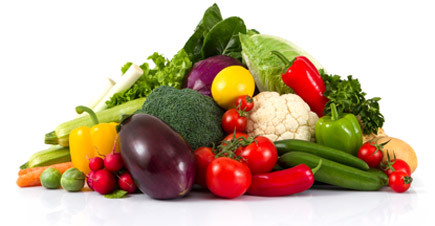 The bacterial components in the tablets are in spore form for product stability, providing for its one-year shelf life. 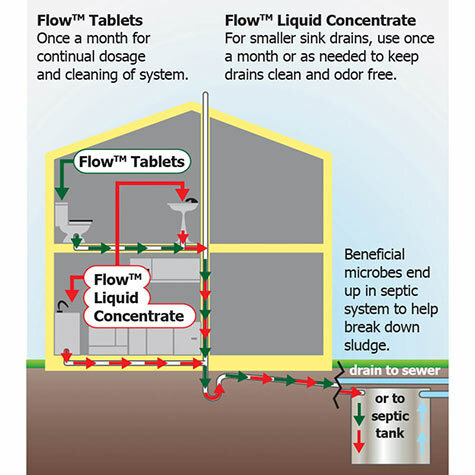 The beneficial bacteria in the liquid concentrate cleans drains and maintains septic systems efficiently. 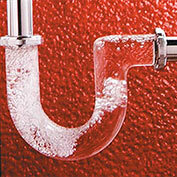 To keep drains running freely, treat with 2 oz. every 2-4 weeks. For slow-running drains, use 2-4 oz. daily for three days. For septic system maintenance, use 10 oz. per 500 gallons once a month. The liquid concentrate has a one-year shelf life, if stored at 70 degrees Fahrenheit. Get 12 tablets and save! Save 25% when you buy a year's supply of Flow! 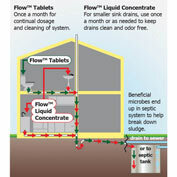 Use a tablet each month for free-flowing drains and septic-system maintenance.